I love making new things in the kitchen. Playing with the ingredients to make things taste different than what is expected, is fun for me. I remembered a while back I had made a sweet potato shepherd's pie but I could not remember the recipe I used for it. So I did what I usually do anyways, and put together my own, or what my husband calls it, actually cooking! I looked at the other recipes out there and took some ideas from each, and made it to what I was looking for. I made it and waited for the reviews from the family. I got a thumbs up from the husband, the toddler, myself, but not the five year old, nothing pleases her though. She just wanted to take the meat out and eat only that. It must have not been too bad for her though, because when told there would be no sweet dessert if she didn't eat, she did eventually consume it. 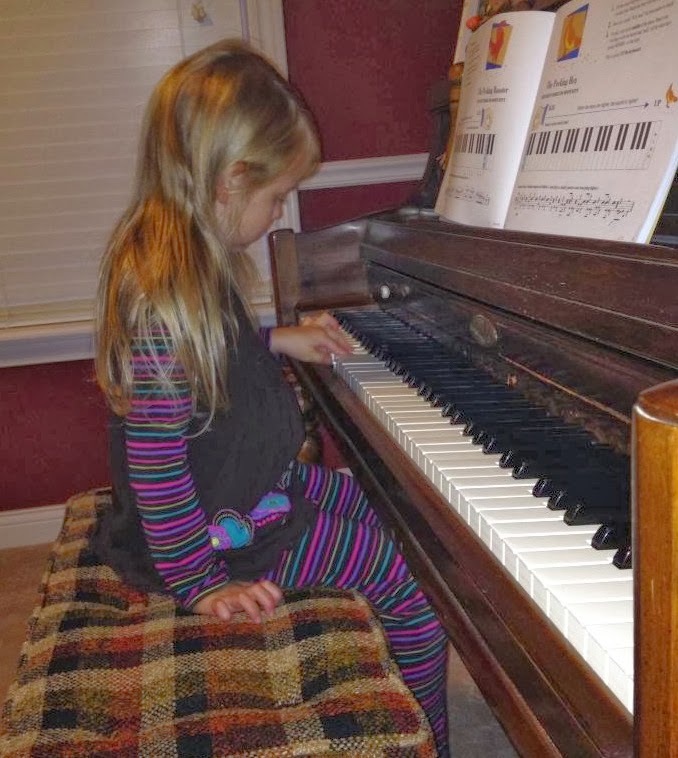 I posted a week ago or so about my daughter taking piano lessons. The piano in our house used to be my grandfathers, and I feel so blessed that my daughter is playing on it now. When thinking about my grandfather I think of two things, him playing solitaire at the table, and, him playing the piano. He didn't just play, he played it beautifully. It was such a passion for him, and you could just sit and listen to him play for hours. My family was really close, and my cousins and I all took piano lessons. We wanted to learn what our grandfather just knew how to do naturally. Legos are HOT right now! The new Lego movie just came out and there is merchandise everywhere to promote it. Not to mention, the huge aisles filled with all these lego sets. 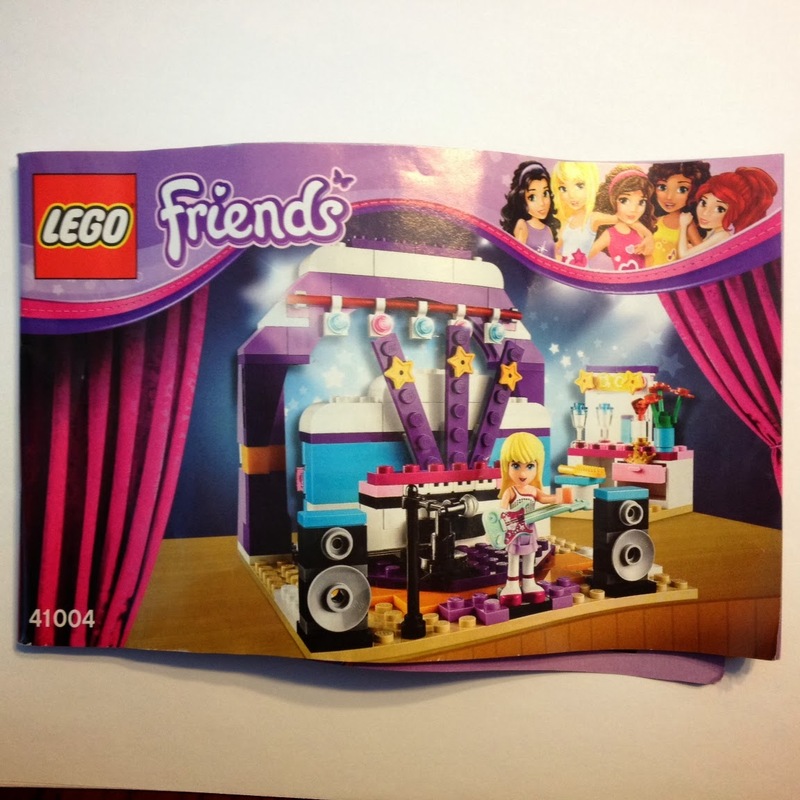 I love it because they have sets for both girls and boys! My daughter enjoys them both, but lately has stepped up her girliness and loves all of the options that they have for girls. This is my oldest daughter, Ashley. She looks so sweet and fun loving in this picture, doesn't she? Well, she is both of those things, most of the times. She has another side of her though. LOL, she's sneaky. And it worries me just a little! This has been the longest winter EVER! It started snowing towards the beginning of December, and it has not stopped. Not only have we not been able to see the ground in the past few months, it has been cold. I'm not meaning I have to wear a hat and coat cold. I mean, Holy Mother Nature my hair is frozen the second I walk out the door cold! Needless to say, we were all ready for a break in this. My daughter, Ashley, has been in cheer since last August, and she absolutely LOVES it! She gets to be goofy with her friends, shake her booty to some music, and show off her athletic abilities. This past weekend, we went to her 3rd competition. The first, there were not any other groups in her level, the second, they got last place, out of 3 I believe, and this one, THEY WERE FIRST!!!! So what if there was only one other team they were competing against. Not only did they win, they looked amazing. I did everything I could to hold back the tears, that were about to come bursting out, from how proud I was of her. Who says women are hard to buy for? Have you tried buying for a guy? It's not easy. Guys say that buying for us women is impossible, but they are the ones that are truly hard to buy for. I have a hard time finding things that I know my husband would love. When I do, I write them down in my phone so I don't forget during the next gift giving holiday! Here are some things that I believe all guys would greatly enjoy for a gift, any time of the year. Today is my husband's birthday. Happy Birthday, Jason!!! Each year I ask him what he would like me to make for his birthday dessert. 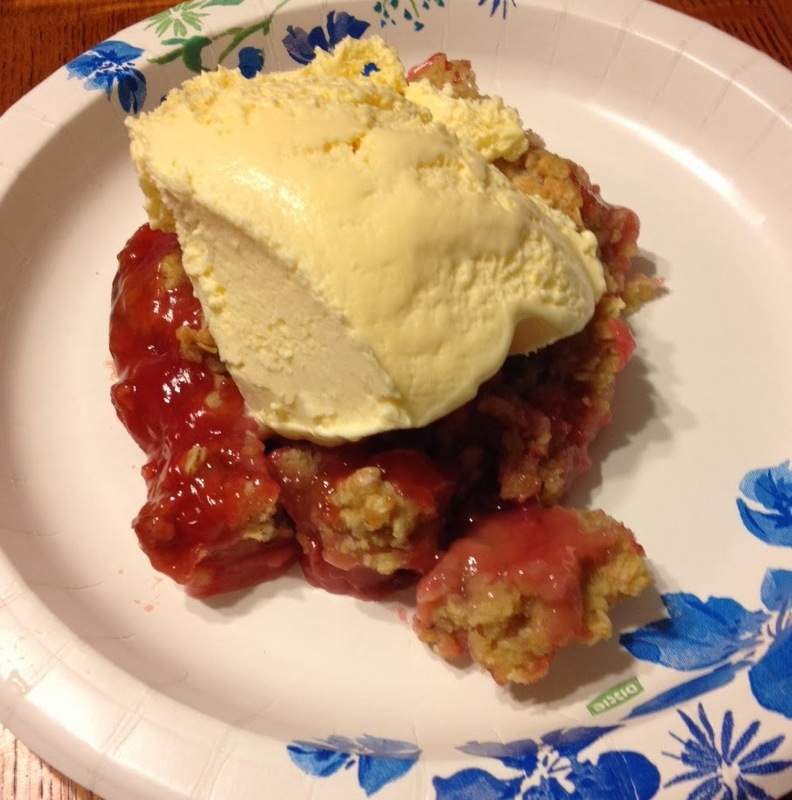 This year, he wanted a Strawberry Rhubarb Crisp. 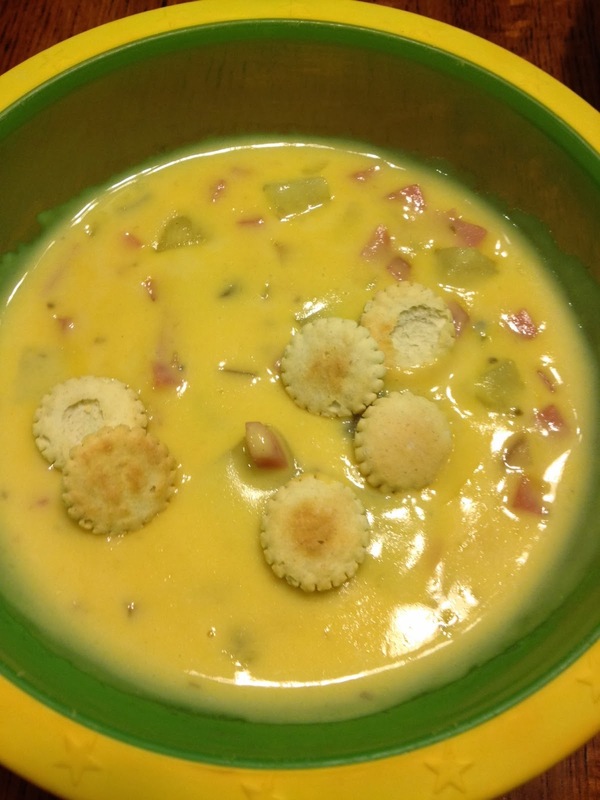 I have never made one before so I went to allrecipes.com to find out how to make it. I sorted through the recipes, "No, I don't want sugar free,""Yes, I want extra crisp," and so on. 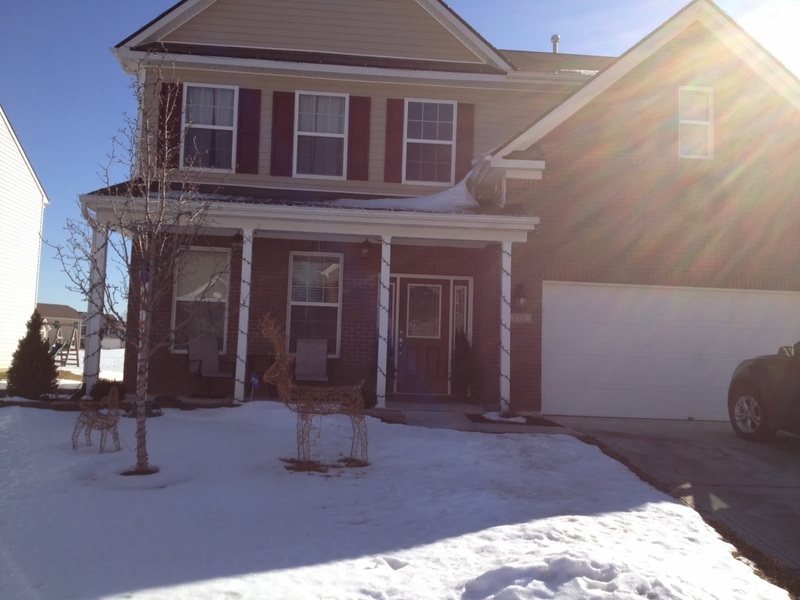 Okay, so here's our house. Looks normal right? Now let's remember the date. Yes we are huge Christmas fans. Everyone knows it. We start decorating in November and don't shut up about it 'till the new year. 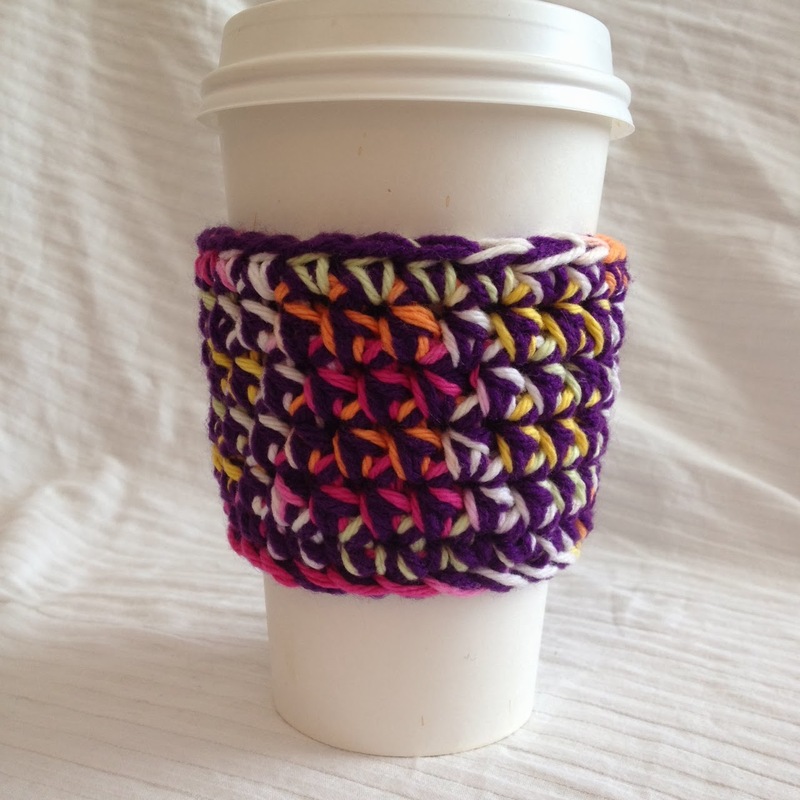 I've been selling my crocheted items for about three years now. In that time, I have sold to a lot of great people and I have some very loyal customers who are amazing! Up until now, I have only been selling through Facebook and craft fairs. At the beginning of this year, my husband and I set up an actual online marketplace, where people can go to buy my items, without having to go through FB, because, shocker...not everyone has Facebook! I know, I can't believe it either sometimes, LOL. We decided that if we really want this to take off, and if we want our customers to extend outside of the Bloomington area code, we would have to expand. Ashley has been taking piano lessons since last September (so about 6 months.) It started through the college in town, IU. We had gotten an email from her elementary school that IU was providing free lessons for children with no prior piano knowledge, ages 6-9. Great! I thought. 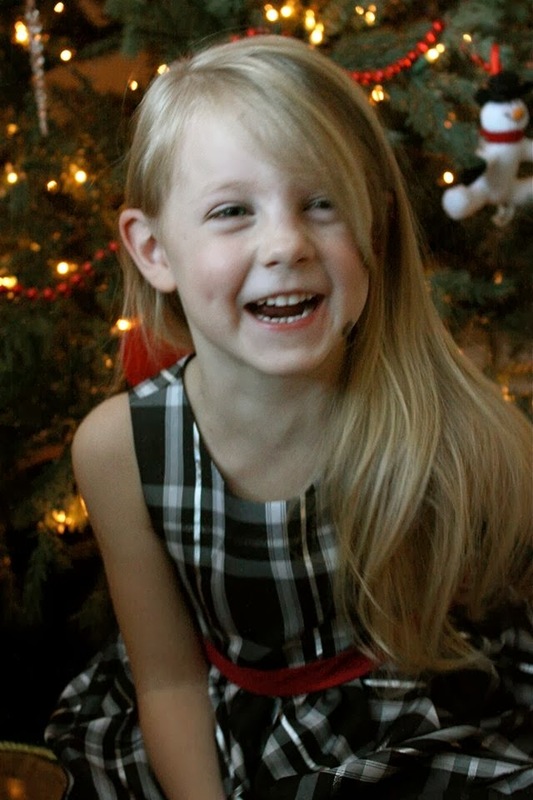 Although Ashley was only 5, I worked my magic when I called, and they accepted her. Sometimes the worst part of trips, and even a deterrent from even going, are the car rides. Children and long road trips usually do not mix, at least in my experience. They are strapped in so tight, for hours at a time, not being able to move much, and just plain old bored. So here are some ideas for those moments where you really need to pass the time, sans whining, crying, and sibling fighting. Most of these games are pretty self explanatory, but I will briefly describe each. Ok, so maybe hate is too strong a word. No, no it's not. I hate doing laundry, I loath it even! I'm serious, this is my least favorite chore. I'd rather do toilets over laundry. That's right, I said toilets! Stinky, pooped stained toilets. That's how much I dislike doing laundry. 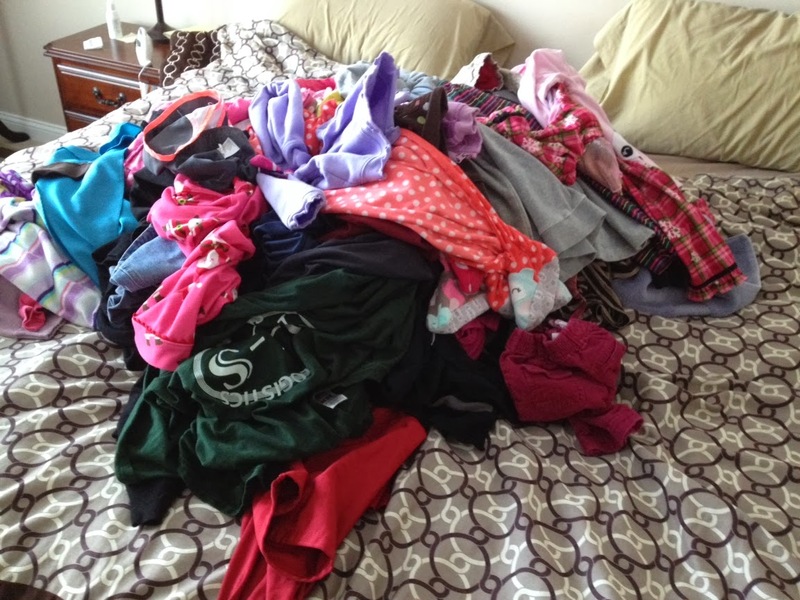 It's not so much the actual doing part of laundry that bothers me, but rather the putting away part. It seems to take forever and I just feel like I could be doing something so much more productive with my time. It's not like when it's done, it'll be done for a few days to a week. No, there's sure to be more laundry the next day. It never ends. I usually put on some music and dance to ease my hatred of this awful chore! Traveling with kids is a nightmare! Ashley (five) has a cheer competition four hours away so we are spending ONE night in a hotel to make traveling "easier." ONE NIGHT...not a whole week. So why does it feel like we have a week long trip coming up? Oh ya, because we have children. They add a whole new element to traveling. I am a crocheter. There I said it! LOL. Sometimes I do things that are not normal. Blame it on the hook! 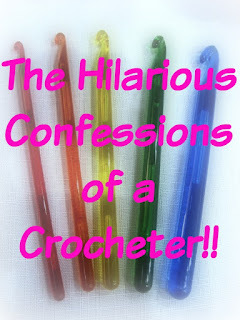 Here are some ways in which crocheting has changed the way I go about living! 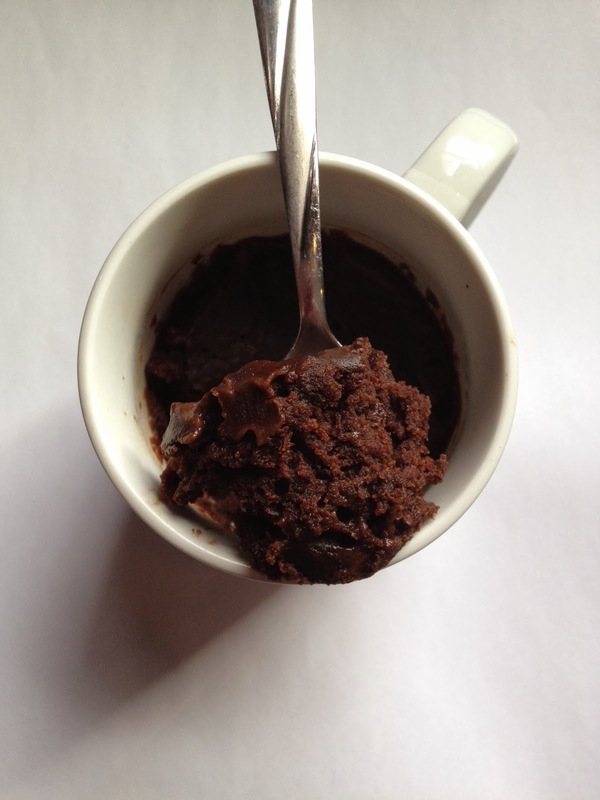 This brownie in a mug is so easy to make, and you will most likely have all the ingredients in your house already. Perfect for that night that you are just craving chocolate, chocolate and more chocolate! My children, heck my whole family, is not known for turning down sweets, especially brownies, so this recipe may be well visited from now on. Valentines day is coming up next week and if you have a school aged child, you know this means your child needs to bring in a valentine for each student. This year my daughter is in two preschool classes, a morning and an afternoon. Between both classes, she is going to need 29 Valentines to hand out. I did not want her to have to give out the boring little paper valentines you buy in a box. They may have candy or stickers, but they seem to be so unoriginal and no fun! 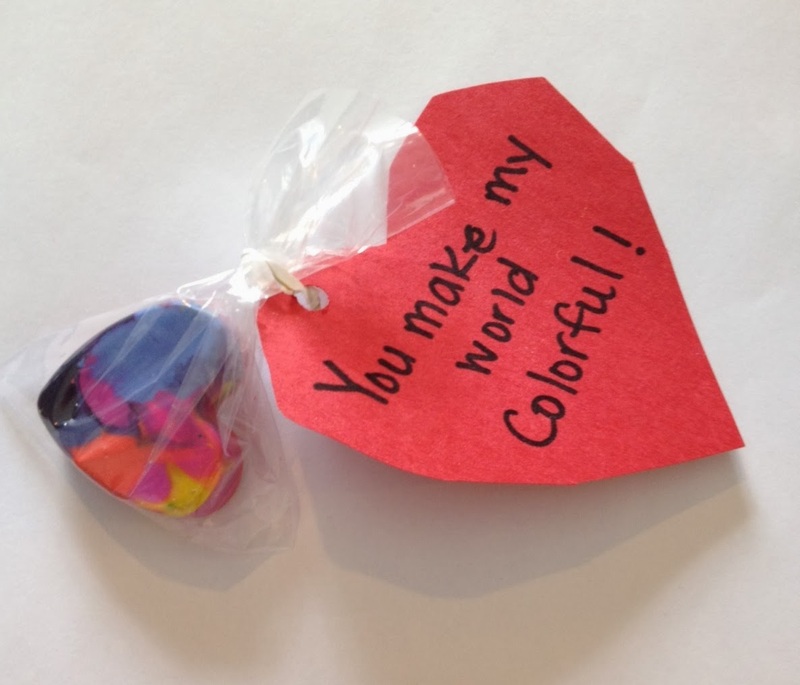 I wrote up a post a few days back about 10 great Valentine ideas for school children, here. One of them was to make hearts out of crayons. Ashley was very excited to do these for her friends. Who doesn't love winning free stuff right? You don't need to go to Vegas to win these contests! I will put a list together every now and then of some great contests going around. You may need to sign up and register for some. Here are five items that I know I would personally love, from trips to food for my toddler, to free money! Go ahead and start entering. 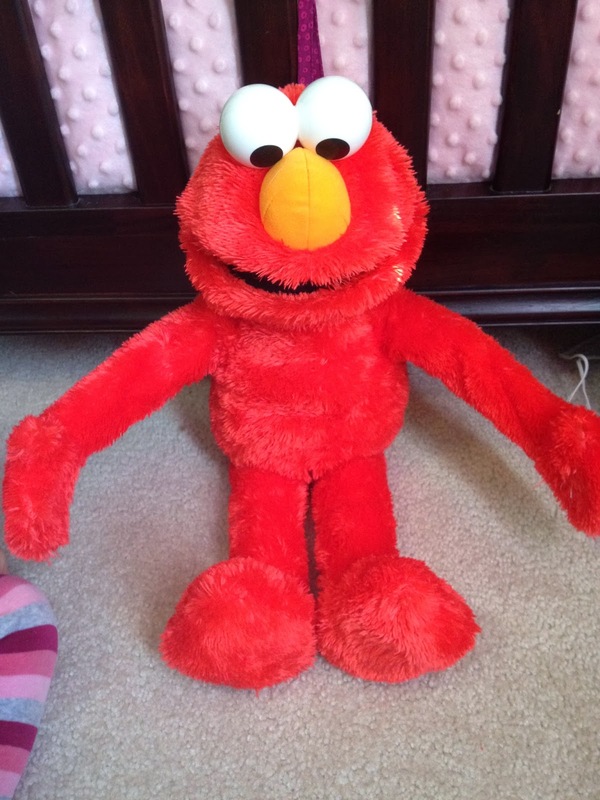 During Christmas time, this big hugging Elmo seemed to be the "It Toy" for toddlers. Lilly does not know who Elmo is, since she barely watches TV, and was slightly skeptical when she first opened this on Christmas morning. Who could blame her though, this toy is almost as big as her! Once I got the batteries in and she started to see all the interactions that this Elmo does with her, she was intrigued.